SOSCuisine provides you with an action plan every week. It is designed to help you prevent oversights and minimize the time spent in the kitchen. 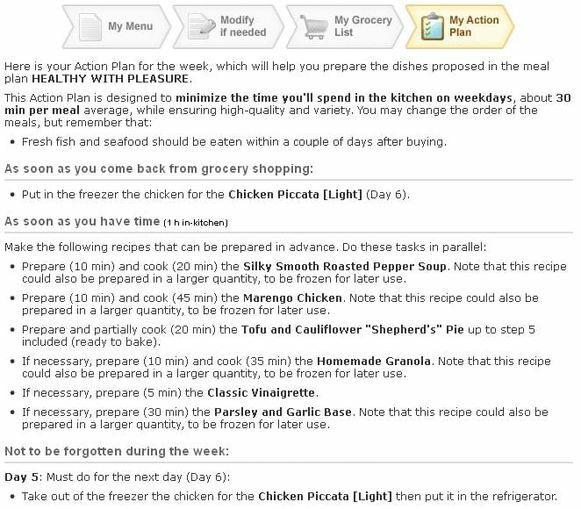 It gives you a step-by-step explanation of what to do when, in order to prepare the proposed menus. Still and always an SOSCuisine exclusive.